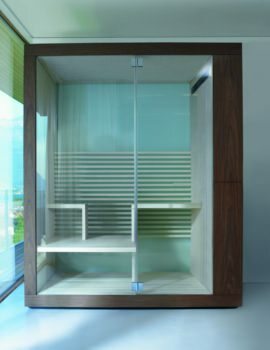 If you're looking to get the ultimate in relaxation in a truly modern setting, then you might want to consider getting yourself a steam shower cabin. Steam Showers are one of the most luxurious amenities available in the market today as they replicate the environment or space and promote deep relaxation. With remote control, mp3 player, background light, head shower and massager, there are innumerable comforts in steam showers showcased at our on-line store. We are proud to be associated with brands such as Aqualux, Duravit and Insignia, whose steam cabins are epitomes of luxury and comfort.